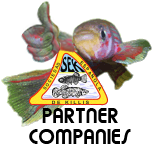 "SEK nos >>" refers to SEK membership numbers who maintain each species. If you see a dash, it means that members do not want visitors to see their number. If you are a SEK member, you'll see all the numbers linked to the sheet of each partner so you can contact him.